NASSAU, Bahamas, Mar 27, CMC – The Bahamas government says it expects its removal from a list of countries deemed to be taken havens “to be a priority” when the European Union Economic and Financial Affairs Council (ECOFIN) meets for its next meeting. Deputy Prime Minister and Minister of Finance, Peter Turnquest has reiterated that the inclusion of the country on the EU blacklist was unjustifiable, given its “strong and unwavering commitment to the integrity of our financial services industry”. 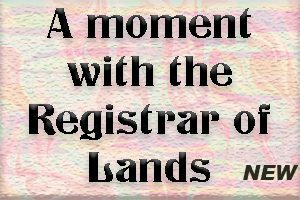 In a statement, Turnquest said that the Bahamas has no more outstanding commitments for the EU’s Code of Conduct Group (CoCG) that should stop its removal from the group’s blacklist of non-cooperative jurisdictions on tax matters. 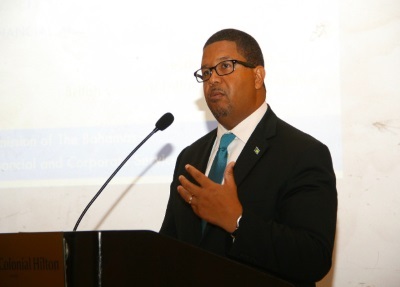 “The Bahamas expects this to be a priority when ECOFIN next meets,” Turnquest said in the statement. Earlier this month, the EU finance ministers said they had also decided to remove Bahrain, the Marshall Islands and St. Lucia, from an earlier list that had also included American Samoa, Guam, Namibia, Palau, Samoa and Trinidad and Tobago. The EU had earlier removed Barbados and Grenada from the list. The EU finance ministers have also decided to add Anguilla, the British Virgin Islands, Dominica and Antigua and Barbuda to a so-called grey list of jurisdictions which do not respect EU anti-tax avoidance standards but have committed to change their practices. Caribbean Community (CARICOM) leaders who met in Haiti for the 29th inter-sessional summit earlier this month, called on their finance ministers and central bank governors of the region to meet “expeditiously” to consider new proposals as regional governments continue to react to decisions by Europe in listing some countries as tax havens. In the statement, Turnquest said that the Bahamas has fully cooperated with the CoCG on its compliance with new measures brought forward by the EU on tax matters, and explained that government is on track to meet the EU’s year-end deadline for compliance on certain tax matters. “Notwithstanding the regrettable decision taken by the European Union to place The Bahamas on a list of non-cooperative jurisdictions for tax purposes, The Bahamas is committed to international tax transparency and cooperation, exchange of financial account information for tax purposes, and international regulatory standards,” statement said. Turnquest said the country was blacklisted due to a “misunderstanding over a fine technical point in the use of contractual language” and also decried the use of the term “tax haven” to describe The Bahamas’ financial services sector. Turnquest said that due to the misunderstanding that led to the country’s blacklisting, the government will strengthen its diplomatic presence in Brussels where the EU body is headquartered.